The “David Bowie Is” exhibit at the Museum of Contemporary Art may have ended Sunday, but for those looking for more of David Bowie, there is currently an exhibit of world famous photographer Steve Schapiro’s photographs of Bowie, Lou Reed and Andy Warhol on display at the Ed Paschke Art Center in Jefferson Park. The art center, named for Chicago artist Ed Paschke, world famous in his own right, is located in the heart of Jefferson Park, at 5415 W. Higgins Road. The museum features the works of Ed Paschke on permanent display. In addition, there is an exact recreation of Paschke’s Howard Street Studio as it was when he passed away in 2004. The museum also has revolving exhibits –The Schapiro photographs will be on display through January 18. Admission to the art center is free and street parking is plentiful. The Chicago Ambassador visited the museum recently and highly recommends it. The Chicago Ambassador spoke to officials at the Ed Pashke Art Center, (EPAC) who answered a few questions about the museum and the Schapiro exhibit. 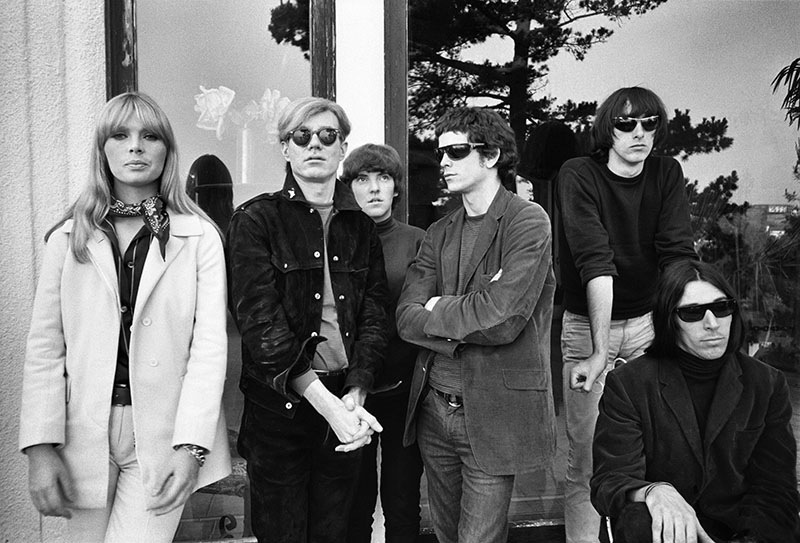 One of Steve Schapiro’s photos — this one of Andy Warhol with Lou Reed, Nico and the Velvet Underground is one of several on display at the Ed Paschke Art Center through Jan.18. CA) The Ed Paschke Art Center opened in June. Why Jefferson Park? CA) Jefferson Park is a blue-collar area, not known for art galleries. How has the response been thus far? EPAC) Located steps from the Jefferson Park transportation hub, the Ed Paschke Art Center is easily accessible by car (via the Kennedy or Milwaukee Avenue) or public transit, including CTA, Metra and Pace. There are several other local attractions— including The National Veteran’s Art Museum, a cultural center, The Gift Theater, and the park itself that we are happy to call neighbors. We’re also very proud to report to that the city-wide response to EPAC has been phenomenal. Since before we even opened our doors, until just recently when we landed a coveted spot on Chicagoist’s “exceptional art exhibitions” of the past year— rubbing elbows with stiff competition from major institutions like the Art Institute and Museum of Contemporary Art, and the School of the Art Institute of Chicago— EPAC has been fortunate to be the subject of over 35 previews, reviews and news stories in print, online, on the radio and over the television airwaves. One of many Bowie images currently on display in the Schapiro exhibit at the Ed Paschke Art Center. CA) How is it that you can stay open every day and not charge admission? EPAC) Spearheaded by Chicago philanthropist and entrepreneur Lionel Rabb and the love of his life Vesna K. Stelcer, and funded by the Rabb Family Foundation, EPAC acts as a permanent, centralized location for showcasing the Paschke Family Foundation’s collection of Ed Paschke artworks and archival material. EPAC’s commitment to accessibility is reflected by its free admission and abundant open hours. We’re also guided by a sense of generosity apparent in the life and works of Paschke himself. CA) Were Steve Schapiro and Ed Paschke friends? EPAC) As you saw in our exhibition, Schapiro photographed Paschke in his Howard Street Studio in early 2000. CA) How did you decide to exhibit his specific work of Lou Reed, Andy Warhol and David Bowie? EPAC) Both Schapiro and Paschke shared a love of music and musicians, so that was a great connection between them and their respective work. I’m sure you noticed the copy of Bowie’s album “Transformer”, which features Schapiro’s image, (also on view in our exhibition), on its cover. That tape cassette was part of the collection Paschke listened to regularly and which is now housed within our re-imagination of his Howard Street Studio. In addition, Andy Warhol’s first museum exhibition, held at the Museum of Contemporary Art Chicago in 1970, made a big impression on Paschke. He felt it gave him permission to depict figurative and representational imagery in his own work, along with reinforcing his inclination towards pop culture subject matter. 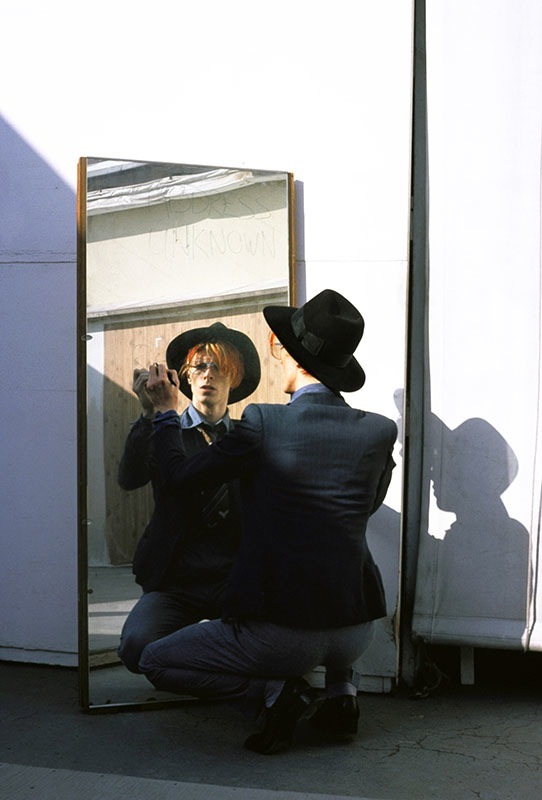 CA) Was the Bowie Is exhibit at the Museum of Contemporary Art any factor? EPAC) We were very excited to have our Schapiro exhibition run concurrently with the MCA’s Bowie show. We had lots of viewers who said they had visited both, or came to ours exclusively after tickets to the Bowie show downtown sold out. That exhibit ended Sunday. People who are big Bowie fans can continue to get their fill of him at the current exhibit that runs through January 18. 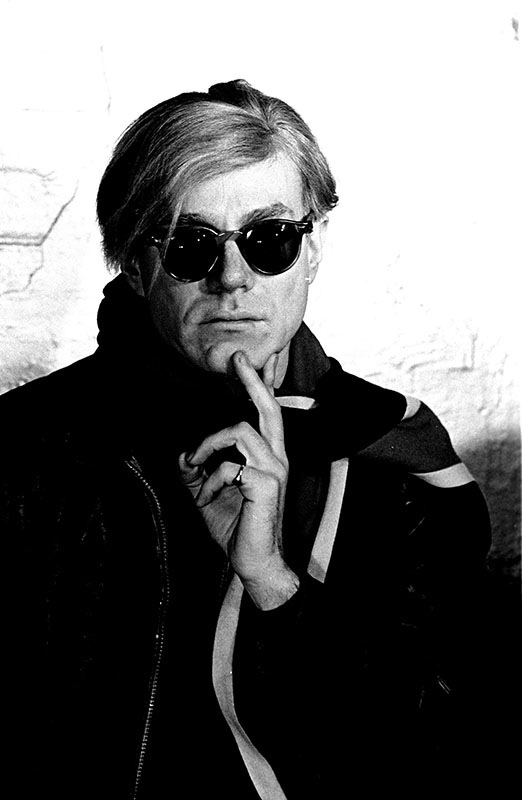 Andy Warhol, as photographed by Steve Schapiro.